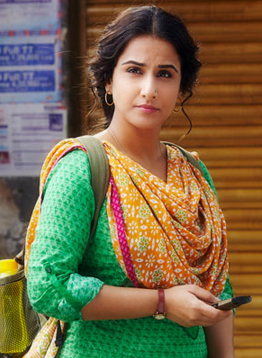 Vidya Balan: “I loved every moment of Bobby Jasoos!” – Exclusive! 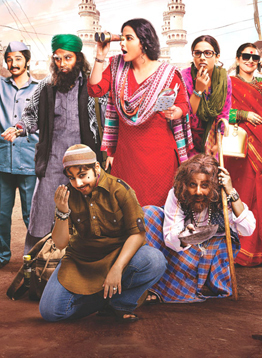 Vidya Balan is back on screen this Friday, and she’s playing not one, not two, but many different characters in Bobby Jasoos. There is Bilkis aka Bobby, a girl who has an unusual dream to be the number one detective in Hyderabad. Then there are all the disguises, both male and female, that Bobby dons to solve the case! Intrigued? We were from the first look! We caught up with the actress to talk those disguises, what drew her to the role and what she loved about playing Bobby. Check out what she revealed plus so much more in this exclusive interview! What spoke to you about this role that made you say yes, I want to play her? The fact that Bobby Jasoos is a female detective, that really excited me. I never imagined that I would get to play a female detective. The second thing that I found that was really interesting is the fact that Bobby is from a really small town, a small neighborhood or what we call a muhallaa in Hyderabad and has the aspirations of doing something unusual and new and following her dream. I think that really connected with me because when I wanted to become an actor there was no one in my family or friends circle or neighborhood that was remotely connected with films. And I had this dream and the dream seemed almost unreal. It seemed impossible. I think I was steadfast in my belief and that is what has led me here. I think that is what I saw in Bobby too. We haven’t heard much about her except that she is a lady detective, can you give me any insight into who she is? Like I said Bobby is a person from a small town, she could well have been a boy, she just happens to be a girl. (Laughs) She really is a like a child who has this dream and she grows up during the course of the film. She is very spunky, she is full of energy, she is happy to fight at the drop of a hat. She is always standing up for herself. She’s… well let’s call her Nosey Parker (Laughs) so of course she is a detective. She is someone who is always thinking on her feet. She is a small town detective, she is not really trained to be one. She uses her practical common sense more than anything else. That is all she has at her disposal. It is not like one of those detective characters who know it all and solve it even before you do. I think the joy of Bobby Jasoos is that you are also trying to figure it out along with her. It is really not just a detective film, it really is a dramedy. It is like I said about the person from a small town who has this aspiration of doing something unusual… It is more a human story. I have never played a character who is so exciting and is so excitable, who is so fun and spunky and energetic and agile and jumpy. I loved it. I loved every moment of it. From the trailers and now talking to you sounds like you really had fun on this film. I did, I really did. (You can hear her smile) And we had a wonderful team to say the least. The good thing is that we did a workshop. The director and the actors got together before the film, which is unusual in Hindi films really. We spent about 6 days together just doing acting exercises, playing games, getting to know each other, reading the script a bit. It was like a gang of friends got together to do something they believed in. Samar Shaikh is very confident for a first time director. I think the workshop really helped greatly break the ice so that the comfort level was there so he could all guide us without any inhibition. The interesting thing about him is he would give us the right kind of cues. I have worked with some wonderful directors and every director has a unique style but what I found with Samar is that he really had the knack of giving you the right cues of telling you, ‘you are doing this… but this is what I want you to do. This how I am asking you to do this different from what you are doing.’ That really would simplify things so much because if someone can communicate what they want it saves a lot of time and energy. This was a smaller project with a shorter schedule of only 51 days, how was it to work on a film like that? You know I have worked on films that have had exacting budgets before. I think this was a film that required us logistically to really lock in many hours a day and really be at it morning to night. There was a vibe on set and shared energy on set and that was because Dia [Mirza], Sahil [Sangha] and Samar, are the kind of people who are always wonderful with the team. They made the team feel like they were all contributing and that each ones contribution was invaluable. There really was a sense of ownership. You know, I am not just talking about the actors, I am also talking about the technicians, the entire crew had a certain ownership towards the film. I think we finished the film even before we hoped to because we were all happy to keep working. We have to talk about all your disguises! It was great fun. And it was fun because of the reaction of people, the fact that most people wouldn’t recognize me when I would step out of my vanity van. I was like… ‘Why, why is it so difficult… It is Me. And you have known that!’ (Laughs) But every time I stepped out I would get these amazing reactions. I think up to a point it became a high! (Laughs) I just wanted to keep doing that. After Parineeta and Lage Raho Munna Bhai, Dia, Shantanu Moitra and Swanand Kirkire and I have gotten together again. It feels wonderful, Shantanu, Swanand and I started our careers with Parineeta and we have all gone our separate ways and it is wonderful to come back together on this film. I think Shantanu and Swanand make a great team. They understand the ethos of the place of Hyderabad and they understood Bobby. I think what this music has actually done is its woven those two together. I don’t know what came first the chicken or the egg – whether the music came from the place or whether their music has actually helped create that ambiance in the film. It is beautiful. It’s melodious. There is melody, but there is also fun and there is a foot tapping energy about some of the music. There is a song called ‘Jashn’ which is a Eid celebration song, which makes you want to dance and then there is the song called ‘Sweety… don’t you see’ and that is just the kind of song I imagine they are going to play at every wedding this season. There is another romantic song called ‘Tu’, which is SO melodious it makes you want to fall in love. What do you love most about this film? It is just unabashed. It is simple but it is unabashed. It is pure energy. Bobby could have been any girl from any part of the country. It is just this story about this person and it is her world. I just want to be able to share this what do I call her… this sparkler that Bobby is with everyone. After this is Mohit Suri’s Hamari Adhuri Kahani. I am reading other scripts but that is all I have signed so far. I have to say one of my favorite stars to interview has to be Vidya Balan. Every time I get the chance to chat with the actress it is always a conversation more than an interview and it is filled with laughter and fabulous answers. Thank you Vidya. 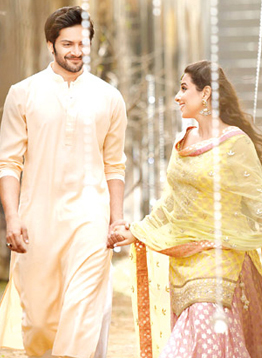 Bobby Jasoos hits theaters on July 4th!